At UL, there is a lot more to do than just study. There are many interesting volunteer programmes available to join at UL. This year, I worked as a volunteer in many different organisations. 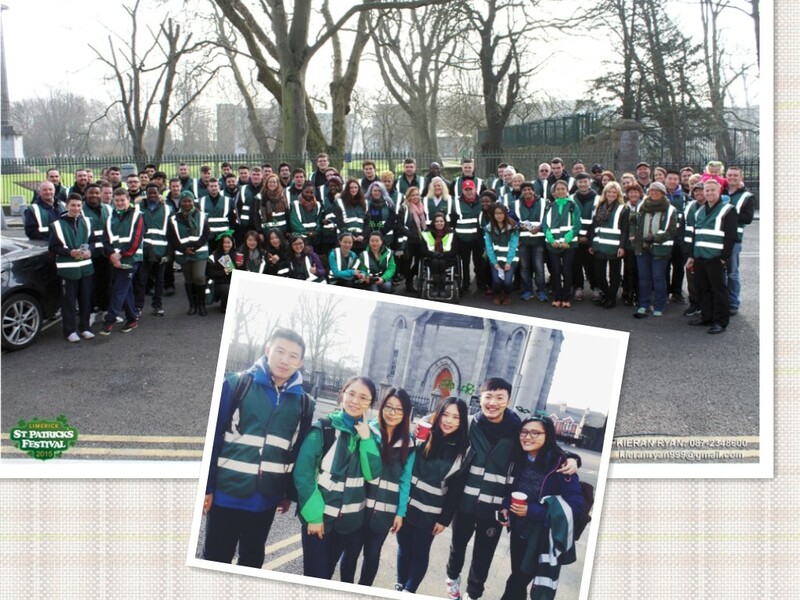 I worked as a volunteer at the Limerick St. Patrick’s Festival 2015 on 17th March 2015. My role was to ensure public safety within the venues, hold a position along the festival route and assist parade staff when necessary. I also volunteered in the Esophageal Cancer Fund Lollipop Day (Limerick). 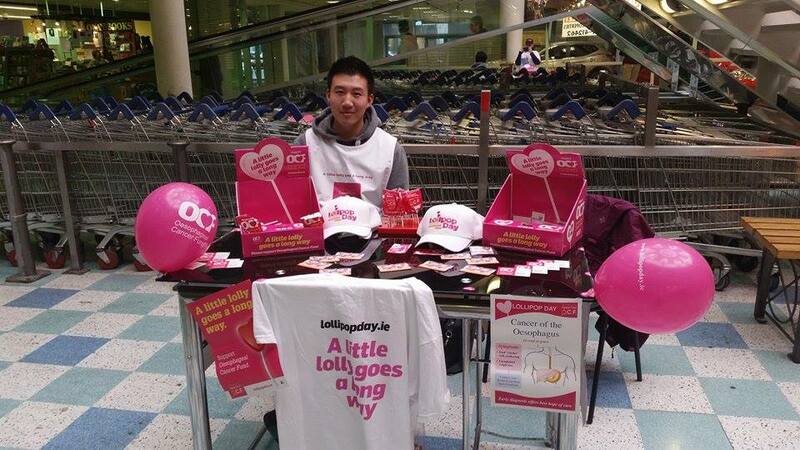 We sold Lollipops and Pins to people in the local shopping center and raised €17,300.10! Irish people are very kind, and being a volunteer here was an amazing experience.